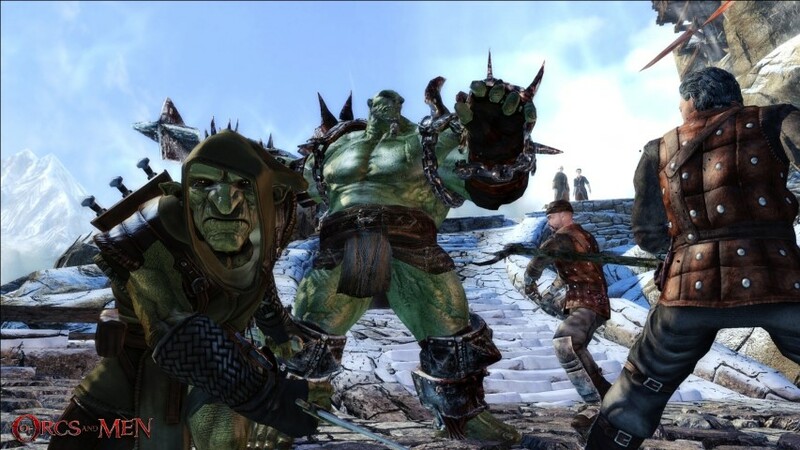 Of Orcs and Men 360 Review. ‘Of Orcs and Men’ is a flawed game, to be sure, but it also holds your attention and actually challenges you, unlike many hand holding releases of late. Plus, I liked the homage to George and Lennie from ‘Of Mice and Men’. Crouching in a darkened corner of a courtyard, rivulets of rain running down your face, you unsheathe your dagger and tentatively edge forward. Relying on your stealth abilities, you slowly creep up behind the oblivious guard until you’re close enough to perform the grisly task at hand. You spring forward, clasping one hand around his mouth whilst the other draws the serrated blade across his throat, releasing a visceral geyser of claret. 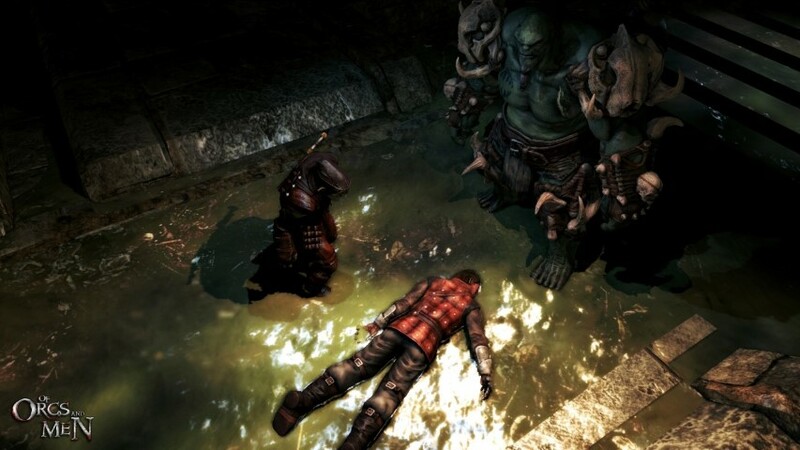 The body slumps into the mud, alerting the second guard on patrol. He raises the alarm, forcing you to expose yourself. Foes come at you from all corners, prompting you to fall into an attack stance and face the impossible odds head on. You throw a knife at one guard, catching him in the face, and disembowel another with a quick flick of your wrist. But it is too much, their numbers too many and they surround you, swinging their broadswords wildly. As you fall to your knees, you hear an almighty roar. Emerging from the rain like a vengeful demon is a hulking green behemoth. He angrily swats the remaining guards away and proceeds to beat each one to a pulp before grabbing the last terrified swordsman and breaking his back over his knee with a sickening crunch. He kneels before you and extends his hand, pulling you to your feet. This is ‘Of Orcs and Men’. 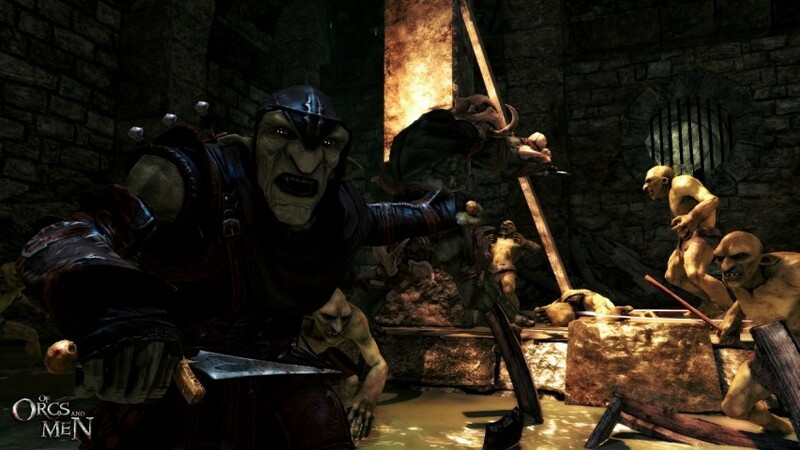 Jointly developed by Cyanide Studios and Spiders, ‘Of Orcs and Men’ (Referred to henceforth as OOM) is an RPG with an interesting premise. Turning the clichéd “man slays beast” narrative on its head, OOM instead plants you in the roles of these so called beasts as the last bastions in a struggle against mankind’s attempted culling of the races of Orcs and Goblins. 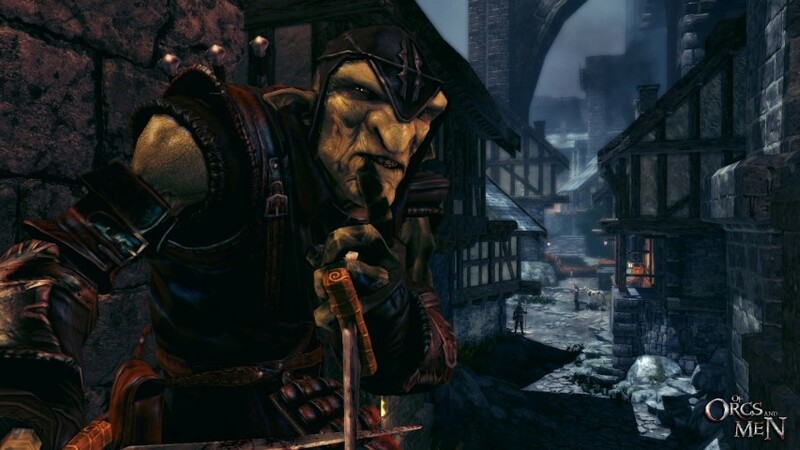 You take control of Arkhail, a fierce Orc from the Bloodjaw tribe who’s short on words and even shorter tempered, and Styx, a foul mouthed Goblin unique amongst his kind due to actually displaying some signs of intelligence. This odd couple have been tasked with killing the leader of a vicious empire on the edge of forming an alliance with Elves and Dwarves in order to commit mass genocide. To reveal too much of the plot would do it a disservice, but I really enjoyed this role reversal as it puts a unique spin on a familiar tale and serves as an allegory for colonisation and using genocide to control the indigenous population in order to progress an empire; a story that is all too familiar in the annals of history. All in all, the plot is well crafted and has a few twists and turns to keep you compelled to see the game all the way through, which can’t be said for a lot of comparable games. So, how does it play? The first thing you’ll notice is just how linear progression is, with your characters hemmed in by accursed invisible walls, the bane of every Gamer. With no free roaming option and very few deviations from the main path, you sometimes feel as if you’re being shunted along through what amounts to superficially pretty corridors, defeating enemies along the way until you reach your destination. 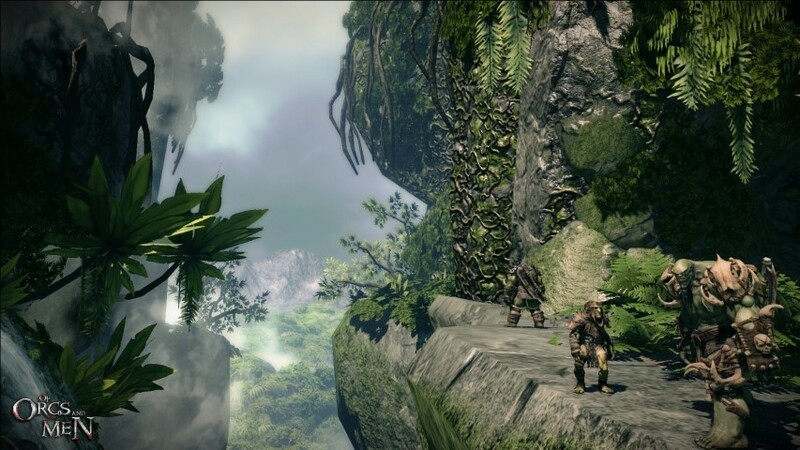 There is a small hub from which you can select some optional missions, trade some goods and hone your fighting skills, but you always feel as if you’re being guided through the game world rather than exploring it yourself. It could be argued that the decision to restrict your freedom makes it easier to tell the enthralling story, but after being spoiled by 'Skyrim' it can feel a bit weird going back to a traditional real-time, turn-based RPG. The auto-combat engine is similar to that of Cyanide’s previous title ‘Game of Thrones’, but this time you queue up to four different attacks by slowing down time with a tap of a bumper. 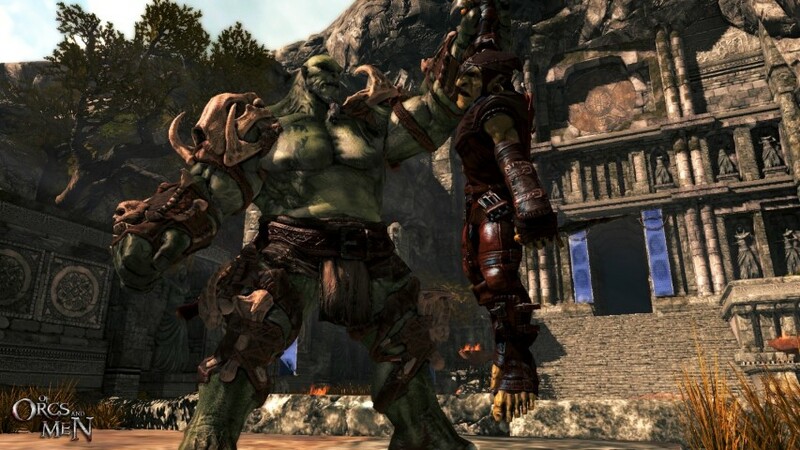 Each character has two skill wheels - For Arkhail it's offensive and defensive while Styx has ranged and melee options, with neutral skills also available, such as Styx’s stealth mechanic and Arkhail’s Goblin toss, which is exactly what it sounds like. When you level up, you unlock new skills you can add to your wheels, and upgrade the pre-existing ones. Unfortunately, the combat is a touch flighty, with blows lacking ‘weight’ when they connect. To someone familiar with hack and slash games, having to line up each move can feel a little cumbersome and it can take a little time to get comfortable; you may find yourself spamming the X button until you start to learn the best strategies to utilise. A minor gripe is your method of targeting - You have to cycle through targets using the D-pad, whereas using a reticule similar to that used in ‘Dragon Age 2’ would have been easier. 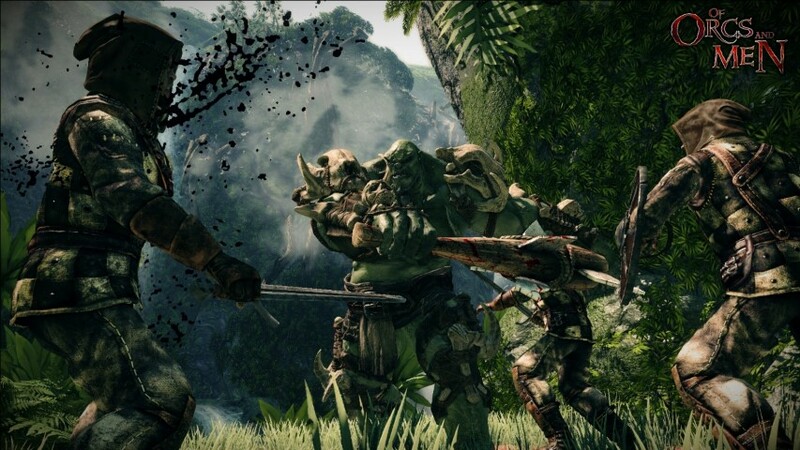 Overall, Combat is decent, although repetitive, with battle strategy basically boiling down to entering an area with Styx using the stealth mechanic, disposing of as many enemies as possible before being spotted and then rushing in with Arkhail to use brute strength to mop up the mess. It’s kind of a shame, because with a bit more thought the combat could have been something really special. As it is, you’ll find yourself using the same few effective combinations of moves over and over again. There’s not much in the way of pickups; occasionally you’ll encounter chests with weapons, armour or assorted trinkets and that’s it. There is no loot, with items purchased via a trading system rather than financial transactions. Health and energy regenerate quickly outside of battle, and if your partner falls in combat you can instantly revive them using one of your allotted moves. Visuals are pleasant, though nothing astounding; the graphics are serviceable and occasionally impressive, which isn’t really surprising given that the game wasn’t blessed with the budget usually afforded to titles developed by bigger publishers. The facial animation and lip sync is slightly off and the character models, besides the protagonists, are uninspired and stiffly animated. Weather effects are nice and the artistic direction of the game makes up for some of the graphical shortcomings, with some stunning outdoor environments that just beg to be explored... Unfortunately, this isn’t an option. Voice acting, for the most part, is rather well done, although dialogue is peppered with a lot of unnecessary profanity and it can feel a little bit like you’re watching an episode of ‘Deadwood’. Ambient and environmental sound is also top notch. The sound design is above the board for what you’d expect for a mid-budget game, and I for one was quite impressed. So, how does OOM measure up? It may sound like there wasn’t too much that I did like about the game, but that wouldn’t be correct. Sure, it could have been more polished in certain aspects, but the convoluted storyline is consistently enthralling and ensures that the game is worth picking up, just maybe not as a first day purchase. The control scheme takes a bit to get used to, but once mastered it becomes second nature. Arkhail and Styx’s personalities play off each other, much in the archetypical mould of buddy cop comedies - albeit transported to a fantasy setting - and it’s enjoyable playing characters who would normally be considered antagonists. 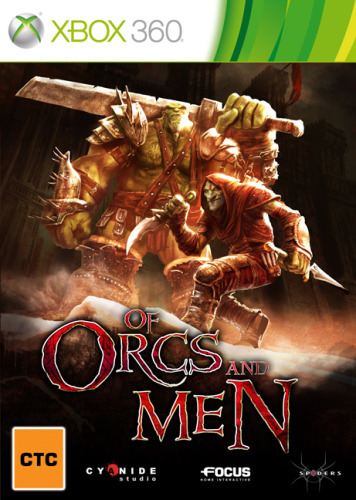 ‘Of Orcs and Men’ is a flawed game, to be sure, but it also holds your attention and actually challenges you, unlike many hand holding releases of late. Plus, I liked the homage to George and Lennie from ‘Of Mice and Men’. It won’t give you an orcasm, but it will leave you satisfied.